Today, Christmas Day, we won't be able to light a fire in our fireplaces, because it's a "Winter Spare the Air" day. But we will be able to visit Muir Woods National Monument and breathe in the park's fresh air from 8 a.m. to 5 p.m.
With relatively mild temperatures in the Bay Area, we don't need the hearths burning anyway. And because there's been no recent rain and winds are light, pollutants have built up close to the ground and the air will be not be healthy to breathe, said officials at the Bay Area Air Quality Management District. Children and the elderly are particularly susceptible. If you do light a fire in your fireplace, you'll face a fine of $100 (first-time violation), with the option of taking a wood-smoke awareness class instead of paying the penalty. If you've been fined before, you'll be looking at a penalty of $500 or more. 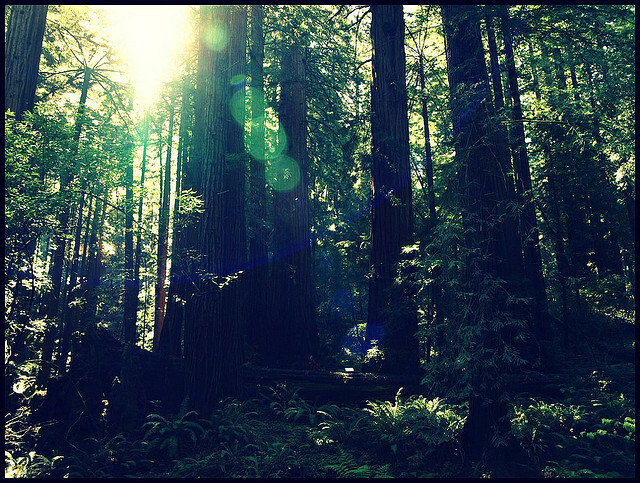 Better to head off to Muir Woods, with its magnificent redwoods. The park itself is open an hour earlier and an hour later than the visitor center, which is open from 9 a.m. to 4 p.m., according to the National Park Service. Other local attractions under the supervision of the parks service, such as Alcatraz, Muir Beach, Fort Point, the Marin Headlands Visitor Center and the Presidio Visitor Center — will be closed for Christmas. More information about the parks' hours of operation over the holidays can be found here.